I stare down at my stem, as I strain forward over the front of my bike. I stare down at my stem, as I strain forward over the front of my bike. While my legs struggle to turn the pedals even in my lowest gear, I watch the sweat drip from my forehead, along the inside of my glasses until the drops fall and splash onto my stem. Some keep running, down the top tube and towards my seat post. My eyes follow the drops, as it’s a chance to focus on something other than the straining sounds of my bike, myself, and those around me. And finally my tired gaze is cast so far down I’m starring at my cursed single chain ring setup. 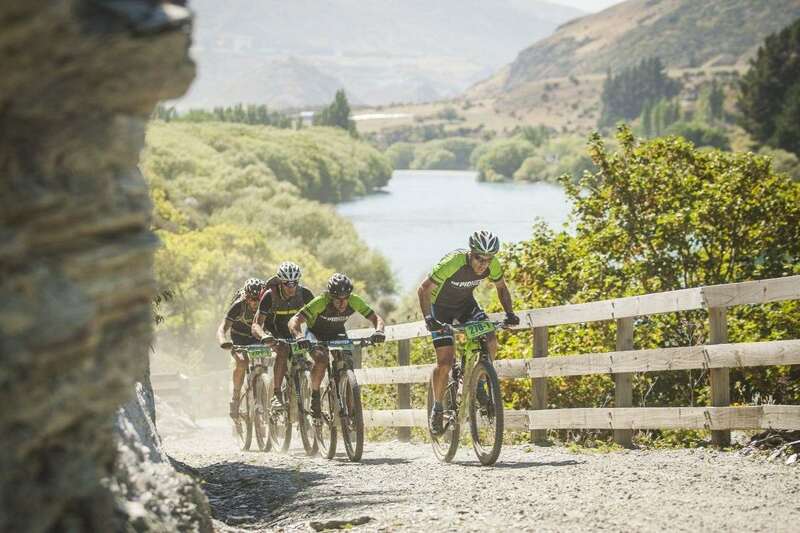 It’s at this point, fighting to summit the climb of Ben Ohau on the 4th day of The Pioneer, that I wonder if many people – myself included - have underestimated the difficulty of the epic race that the organisers have created here on New Zealand’s South Island. 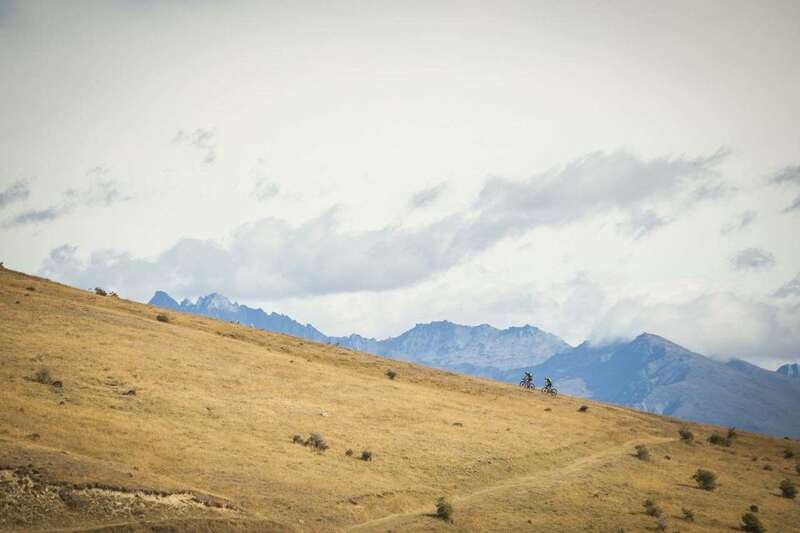 After the glory of downhill racing, the spectacle of slope style and the battles of Olympic cross-country, one of the most appealing versions of our sport can be that which evokes a sense of adventure – a chance to get out into the mountains, and ride trails sight unseen. I have a penchant for the style of race that takes you out of your comfort zone. Be it due to the environment, the distance, or both. I revel in the challenge, as much the undertaking as the planning and anticipation. This can come from one day events, but most typically I find the best way to scratch that itch is to enter a marathon stage race. Unfortunately, Australia only has one of them, the Crocodile Trophy, so it often means I’m packing a bike bag and backpack and heading overseas. 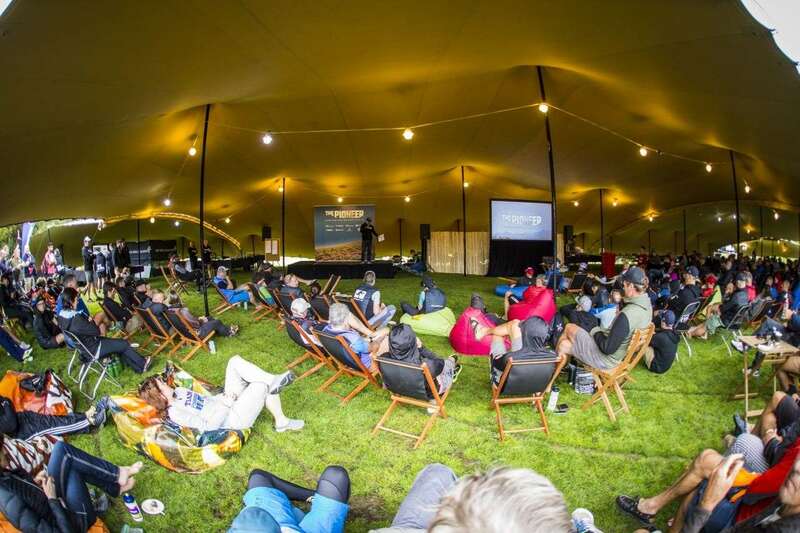 In early 2015, experienced event organisers Lagardere announced they would be running a 7 day stage race along the Southern Alps in New Zealand. 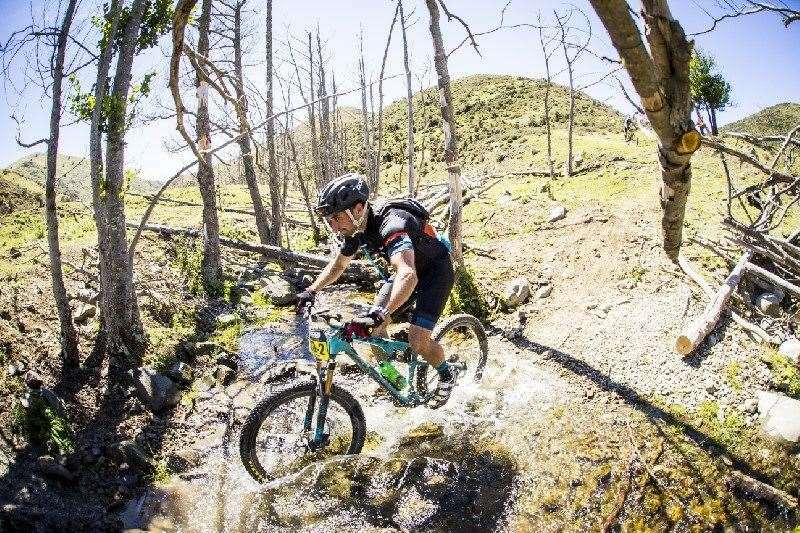 With a video released showing epic mountain scenery, steep climbs and long descents – riders around the world had their interest piqued. My self included. A first year event takes a big leap of faith – but along with about 200 other teams of two, I signed up for whatever lay ahead. For many, there was a lot of unknown about the race. What would the route be like? Could there really be that much climbing? Do we really need to carry so much emergency gear? My only real history with the Southern Alps is from a couple of basic mountaineering trips. So I knew the mountains were steep, the rock was crumbly, the sun was harsh, and the weather was very changeable. In my mind I expected the terrain to have lots of double track, farm trails and loose, sharp rock. The sun would burn you quickly, and if it rained, you’d get pretty wet and cold quickly. So the mandatory jacket, first aid kit and more just made sense! The Southern Alps are a true mountain environment. Lagardere CEO Dave Beech spoke to all of us before the race began, and told us about the name of the race. New Zealand has a long history of Pioneers, from the Maori who travelled to the islands in search of a new home, to white settlers chasing farm land and gold – and now to us. While we were chasing first world sporting achievements – the sentiment that we were the first to be doing the race, which would be an immense challenge, wasn’t lost on the crowd. The race organisers promoted the race as promising riders they would discover the three pillars that the event team stood by. They wanted riders to find stunning, find character and find welcome. So I guess that was the challenge, would I find them? Back to my suffering on the 4th day of the race... 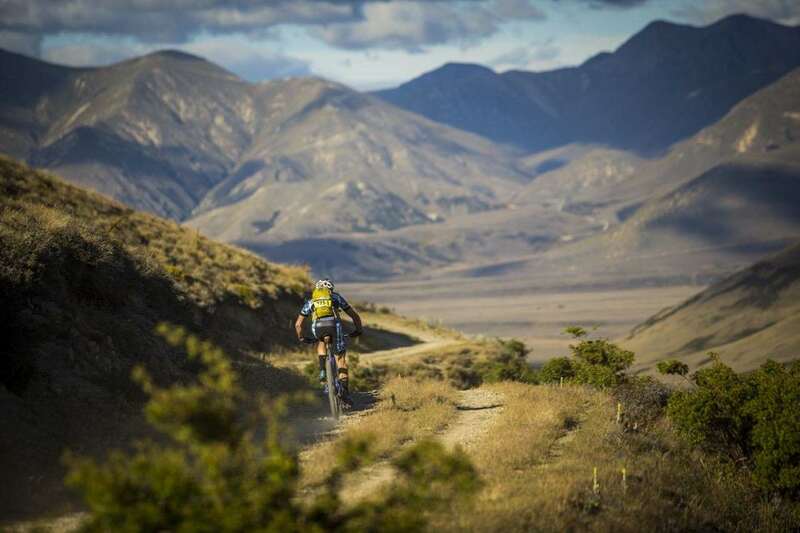 The crossing of Ben Ohau seemed to be a turning point in the race, for me anyway. That stage took us from the shores of Lake Tekapo, to Lake Ohau. The stage was punctuated by the crossing of Ben Ohau, which had two summits thanks to the valley between the two passes we crossed. We climbed high, high into hidden valleys we couldn’t see. We climbed far enough that from the bottom, you couldn’t even see the top – not even the yellow leader’s jerseys of Dan McConnell and Anton Cooper. We climbed from forests to above the tree line, and descended back down again, feeling the air grow warmer as we dropped so much altitude. These sorts of experiences are hard to find in Australia. While we have the topography in some places, we don’t always have the land access. I have often sought out the sort of big mountain experience that I found at The Pioneer in races overseas, and on rides in the Swiss Alps, or in the peaks around Livigno. 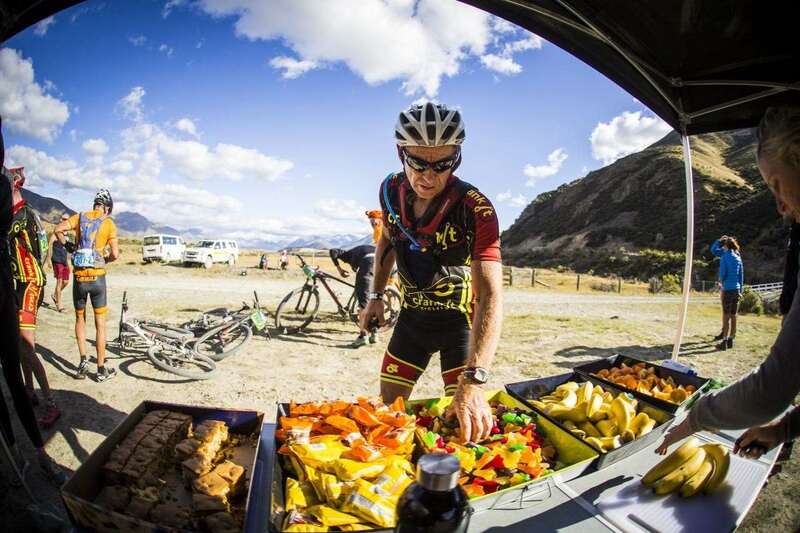 The morning of stage 3, the race started in Fairlie, and would ascent the Albury Range on the way to Tekapo. With close to 1000m to climb in the first 18km, it was a rude start to the morning. 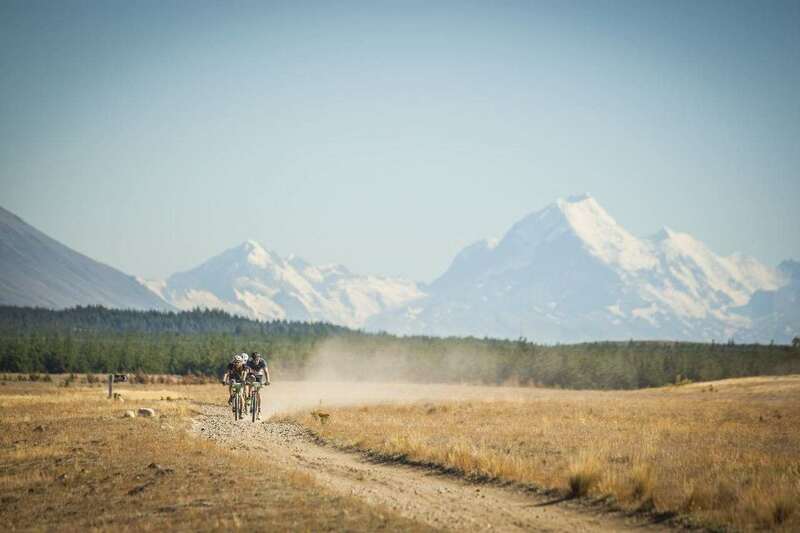 The whole race passed through the town of Fairlie, then along the dirt roads through farmland, and onto broken double track and farm trails that had been painstaking scratched into the steep slopes of the mountains. We climbed through alpine tussocks, across broken rock, and over steep false summits. The whole time, the sun was shining, and the town of Fairlie stayed virtually at our feet, with the snow capped peaks of the Southern Alps ahead of us. 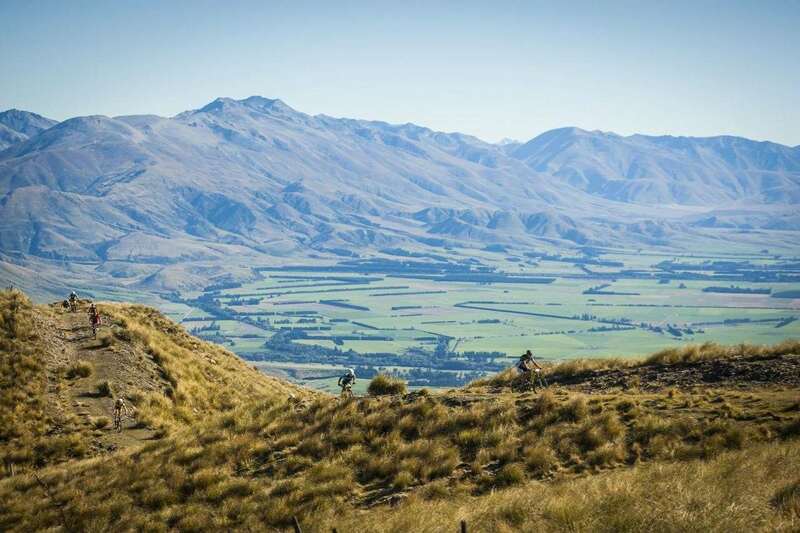 If the fast and twisty singletrack in the Port Hills above Christchurch on Stage 1 hadn’t allowed me to find stunning – then the start of this stage certainly had. The riding in The Pioneer was more about being in an expansive environment, than taking fast corners around trees. 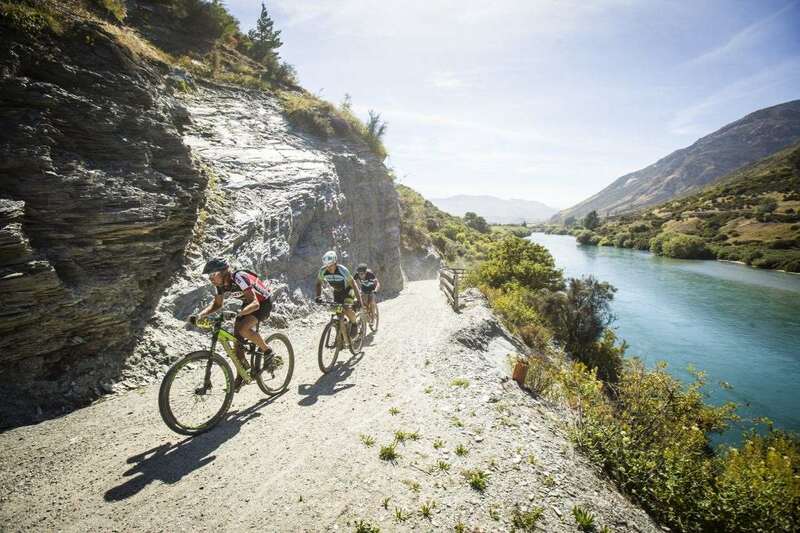 So the riding experience was less about riding buff trails, but more about accessing and experiencing wild country in the heart of the Southern Alps. 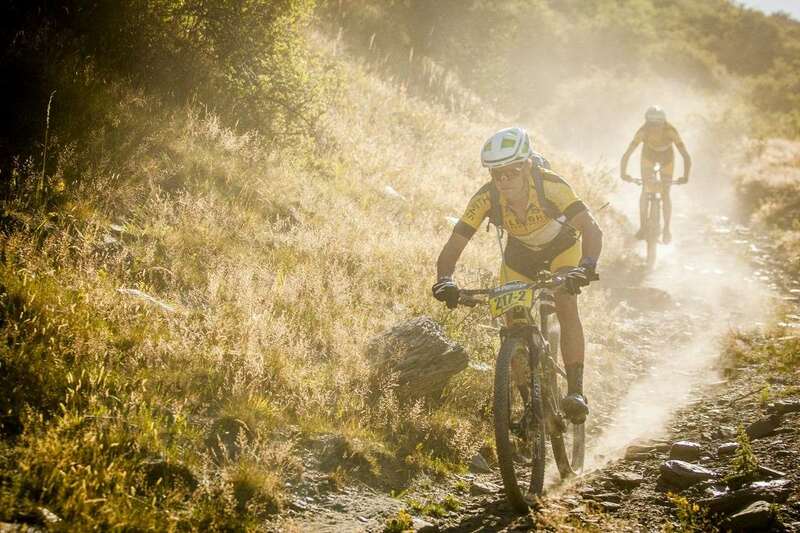 We all find the style of mountain biking that suits us, and I already know what I like. While I’m no climber, I’m happy to suffer up alpine length climbs. And while I’m no gravity enduro star, I love finding new trails and descending them sight unseen, as fast as I can. And if you put those two into a competitive setting – you’ve got me hooked. Being able to race a route is very different to being able to ride it. Like many other marathon stage races, such as the Swiss Epic, The Pioneer’s route utilises land and trails not typically open to the public. It’s not something you can just ride at anytime. But that was ok with me. After riding within myself for the first few stages, when I actually let myself race, and push hard, I found my rewards. As much as it can seem taboo to like racing in some circles, it’s what I love. I’m fair from a devoted athlete, but I do like competition. And while The Pioneer allowed a supported ride across the alps if that’s what you’re after- it also provided an excellent racecourse. 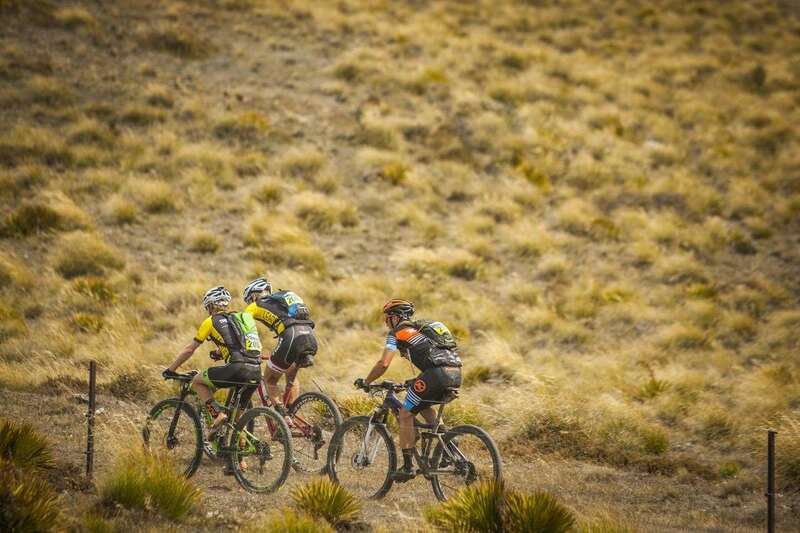 With comprehensive route plans, well-stocked feed zones and a competitive elite field, it really did reward those who chose to push themselves and their team mate. And that’s exactly what I saw plenty of teams doing as well. The Masters Men’s field seemed to be one of the most closely fought battles. Although Minter Barnard and Ian Chitterer didn’t lose their lead after day 2, it never looked certain either. With the likes of Garry James and Mike Israel not far behind, as well as Mike Faretta and Wayne Dickinson (before he crashed) it was great to see familiar faces form home racing hard, and enjoying the competitive nature of their characters that push them to train, to make sacrifices and to suffer – all for the gains of sporting and personal achievement. As The Pioneer is a pairs race, you’re unlikely to ever feel isolated. My team mate for the race was a Welsh multisporter. And what he lacked in mountain bike experience, he made up for with a sense of humour, hard work and generally being a good bloke! But the race really nurtured connecting with people. I met lot’s of new people on the trails, and in the camp. The organisers had a huge stretch tent set up each evening, with tables, chairs, bean bags, a bar, and even a cricket set and some footballs and Frisbees. It was a very social environment. 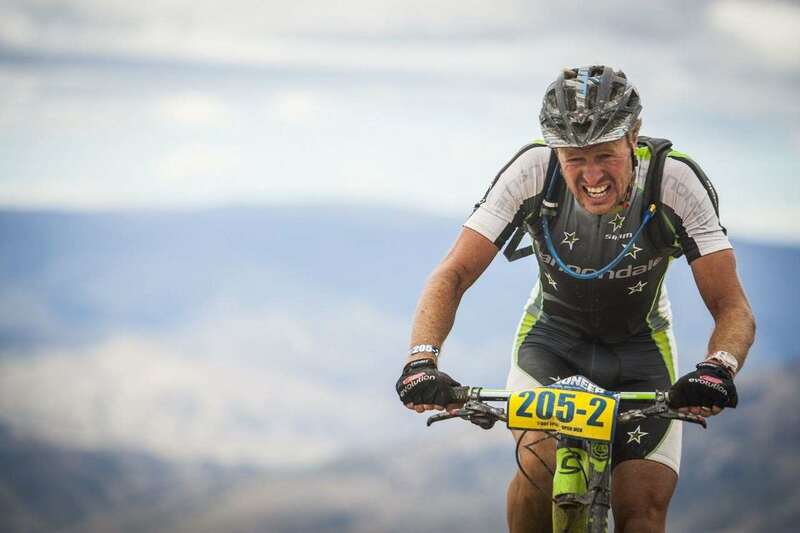 The whole race had a very open feel – although the Kona Factory Team had four riders there, they did not take themselves away from the race at the end of each stage. They sat in the social area, eating their favourite foods from the vendors, and talked about the day with other riders as they came in. It was a really levelling experience – and not one that you will find at other international marathon stage races. What really stood out was how much the event team and their volunteers wanted you to be there, having a good time, and achieving what you wanted. From having good food, through to clean showers and toilets, and pro-active support in the feed zones, everyone involved in the event made you feel welcome. What’s more, the camaraderie between riders on and off the bike was second to no other event I’ve been to. I’m not sure if this was a kiwi thing – but it was noticeable. While the event has been one of the most physically demanding stage races I have done, it’s had the best event vibe, and it is one I’m really interested in seeing how it grows in the coming years. As far as first year events go, The Pioneer really nailed it. The course was really demanding, with the volume of ascent being made harder due to the slow moving trail surfaces. While we had unheard of luck with weather, there are chances that a big weather event could make the experience truly epic. What’s great to see is how well the event team are taking feedback on board, and planning for next year. At the time of writing, dates and courses aren’t announced for next year. 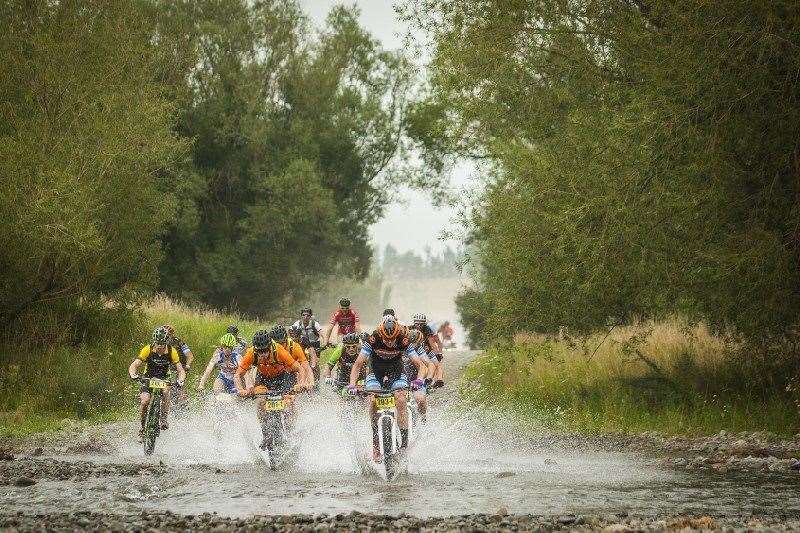 But what’s certain is one thing – if you want a major marathon stage race experience, you don’t need to go to Europe, South Africa or North America to find it. 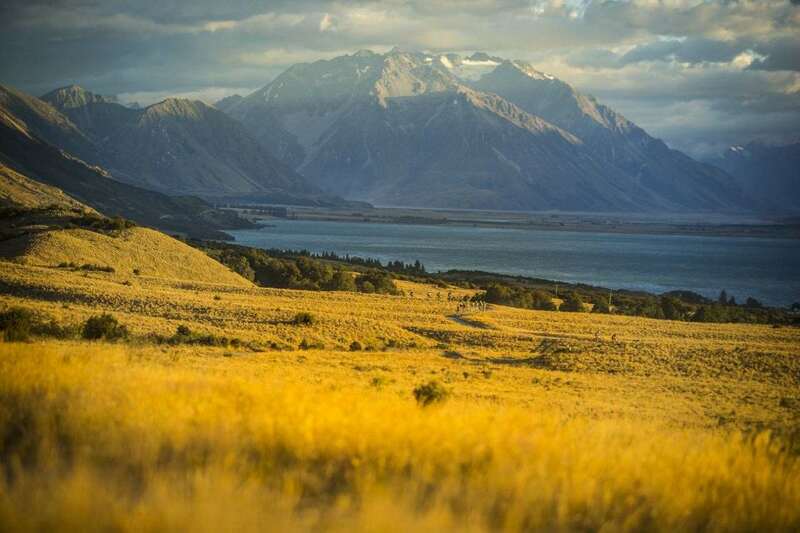 There’s something stunning growing right in New Zealand. We can’t forget, this was a race. With generous prize money for open men, women, mixed and master’s teams – with a healthy $7000 bonus for the fastest team – there was a lot to race for at the pointy end. Dan McConnell and Anton Cooper (Team Danton) never looked troubled by either of the Kona teams, but Cory Wallace showed on several occasions that he was strong enough to match the pace of Team Danton on the climbs and descents – but with some misfortune with a stubborn flat tyre, and some team slip ups in sprint finishes, they conceded too much time to be in a true fight for the title. As a pairs race, the course suits hard and fast racing, thanks to the high volume of double track. 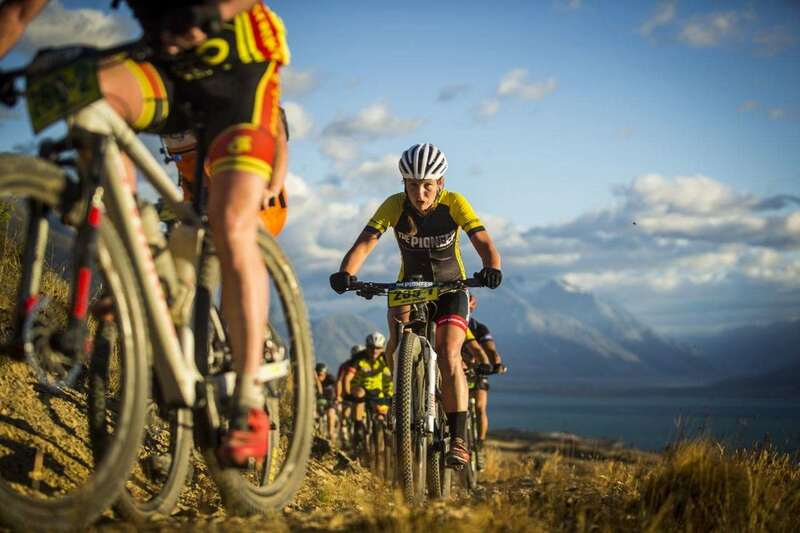 There wasn’t much singletrack, mostly in Wanaka and in the Port Hills – however there are amendments being made for the course for 2017. 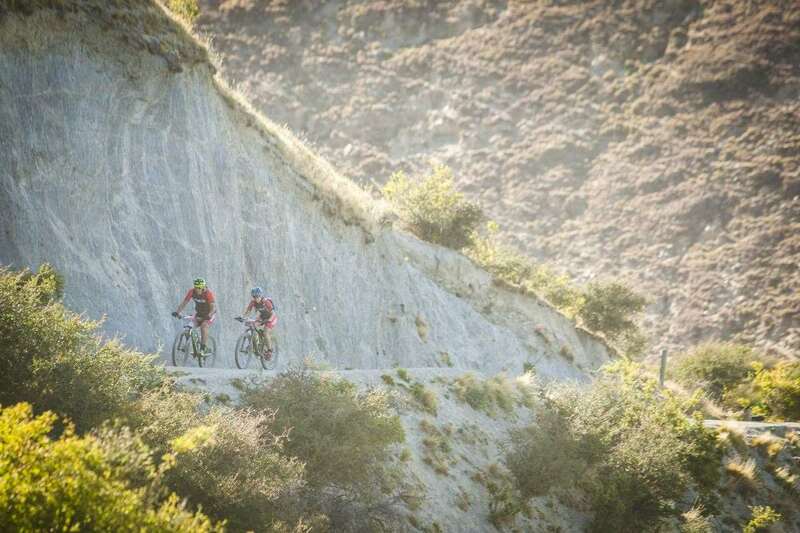 Pairs racing doesn’t require high volumes of singletrack – but it’s a great addition when it’s there. 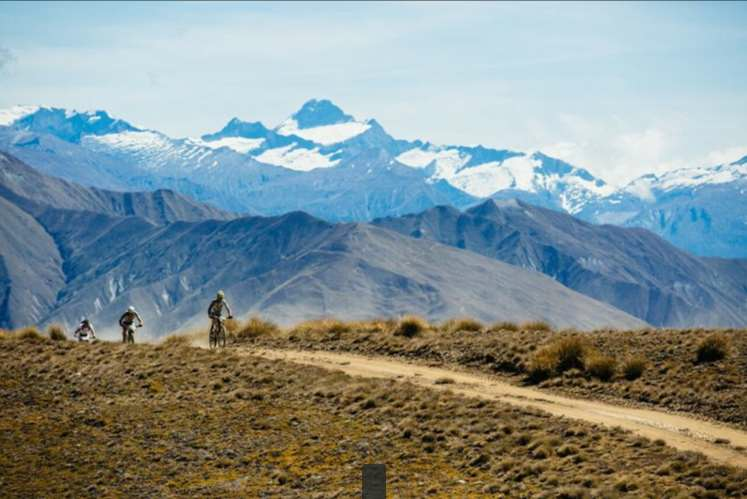 The Pioneer runs from Christchurch to Queenstown, on the South Island of New Zealand. Dates are yet to be set for 2017, but it is a 7 day paired race race, with a 3 day option for solo riders. Christchurch and Queenstown both have international airports, with frequent connections to most Australian capital cities. 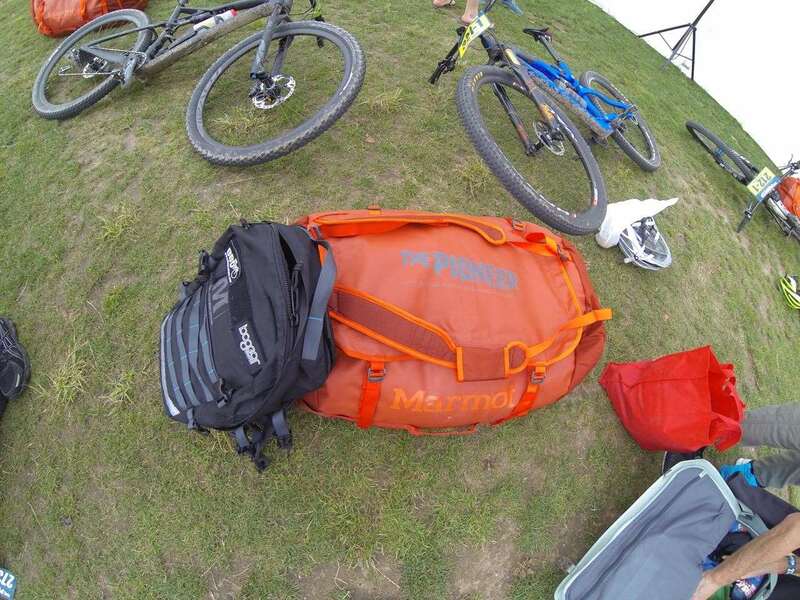 Both Australia and New Zealand have strict quarantine laws on sports equipment, so make sure your bike is super clean before you go over, and before you pack up to come home. You don’t need a visa to visit New Zealand, but you do need a passport. 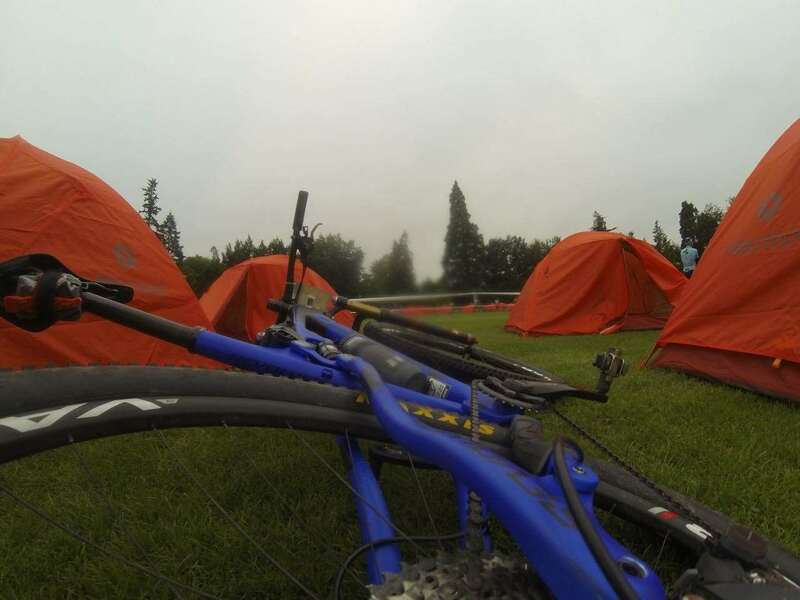 As a full-service stage race, the camp setup at The Pioneer leaves you wanting for little. You get a fantastic all-weather tent that is setup for you, and the breakfast and dinners are great quality food. Take so money to buy lunch from one of the food vendors at each camp, and if you’re a coffee lover get in line for a quality coffee early – the baristas were working very hard! 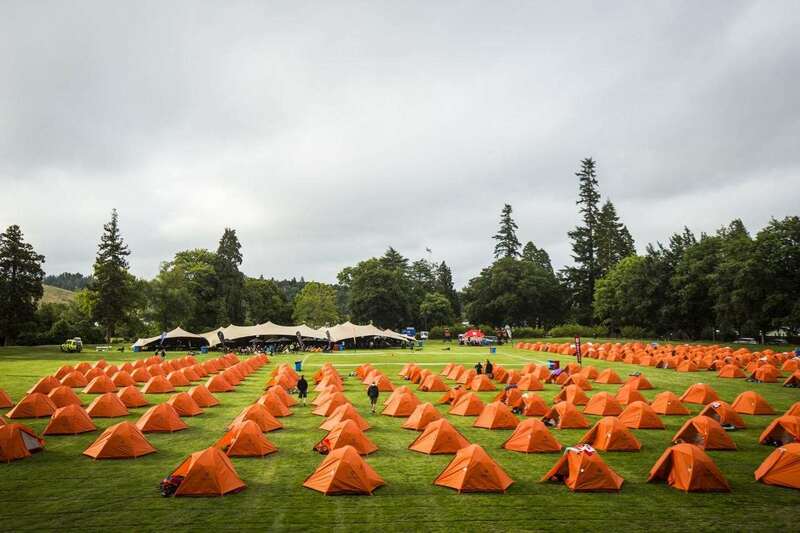 You will need your own camp mattress – and being a stage race you would be rewarded for checking out the relative comfort of your mattress and pillow setup at home before you go. And pack some earplugs just in case you’re camped next to a snorer. The amenities were clean and plentiful, and there’s even a laundry service you can pay for, to make sure you can have 3 sets of kit to get you through the week of bike racing. I took a demo Norco Revolver 9.2 FS from the importer’s test fleet – and used this as a chance to finish the Shimano XT M8000 1x11 group set review. I did change the fork to my own Fox 32 Factory, and wheels to NoTubes Valor with strong Maxxis Ikon and Ardent Race EXO tyres. The 100mm travel full-suspension bike was perfect, as it climbed efficiently and bombed descents confidently. 160mm rotors were fine, but my 32 tooth chain ring and 11-42 cassette was pushed to the limits both up and down. If there’s an argument for 2x group sets on modern bikes, it’s stage races like The Pioneer. You might be smart to travel with an extra chain ring or two to change between stages – it’s not difficult and might really reward your legs. Like in any race, flat tyres are a slow option. Using strong tyres on light, strong and resilient wheels kept me mechanical free for the week.